In 2012 after about two years of research and study we decided to launch our own hand-crafted small batch winery. After much research and wrangling the state, federal and local government rules and regulations we became a legal winery in October of 2012. 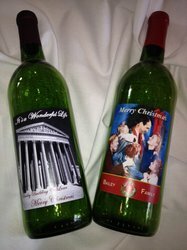 Our first wines were sampled in November and by December we had released about a dozen different wines. Our wines are made in 30 bottle batches right here on the property. The grapes – juice and skins called “must” – are delivered to us from points around the globe. We have wines made from grapes imported from Australia, France, Italy and South America as well as many varietals from grapes grown in the US. Fermenting, filtering and finishing all happen in the winery. 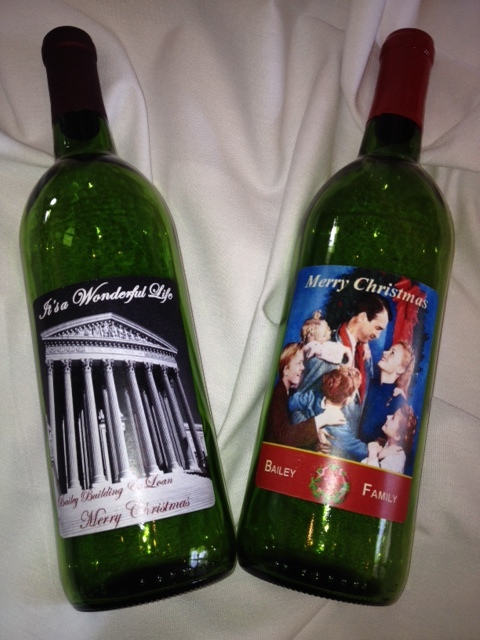 The wine is then bottled and labeled. Our varietal wines are made with both imported and domestic grapes. Licensing laws require that if the grapes come from outside the U.S. we cannot call them by their varietal names but must use fanciful marketing names. 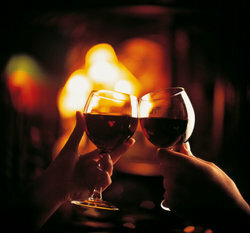 For example, Romeo is our version of a French Pinot Noir, Marlyn a French Merlot or Roman Spa Nectar an Italian Chianti. Some of our most popular selling wines are the blends. In the whites - Starry Sky, Tres Blancas and Alice… in the reds - Colorado Red, Romeo and Duo to name a few. All of these are great after dinner sipping wines. Our ports are made with late harvest grapes. These grapes are high in sugar content making the port wines naturally higher in alcohol content. We do not infuse our ports with Brandy, however, we do infuse them with chocolate and fruit flavors for a unique and delicious experience. Your taste buds will be dancing when you sample some of these ports – chocolate raspberry, black forest cherry, caramel or coffee…Port wines are usually served at room temperature. Ice wines are made from grapes that have been allowed to freeze on the vine. The freezing increases the sugar content in these late harvest grapes and creates a higher alcohol wine with a zesty finish. Ice wines are best served chilled. These wines are made with varietal grapes, then after fermenting are infused with fruit making for a sweeter, lighter wine. These “fruit wines” as we call them are especially popular with people just becoming acquainted with wine. It’s a great way to experience different grapes with different tastes in a slightly sweet wine. The fruit wines are always served chilled and are perfect for a hot summer day or to be served with spicy foods. We currently offer 28 different wines for sale and tasting. In addition, we will be releasing more premium varietals and limited production seasonal specialty wines in the next few months. 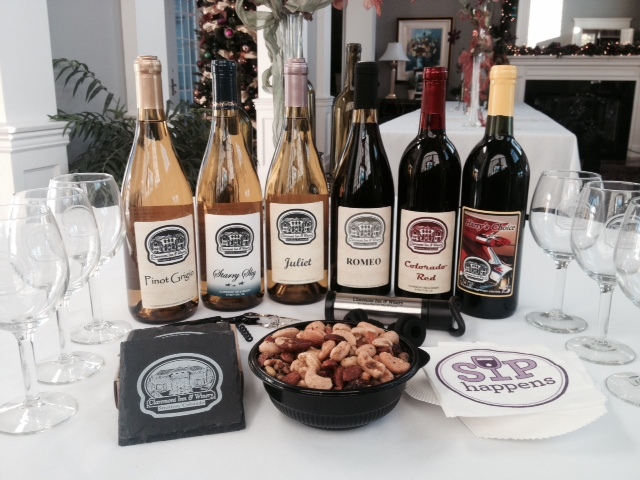 What fun – new wine to taste every time you visit the Claremont Inn & Winery! Like many of our guests who have made it a mission to stay in every guest room – we invite you to become members of our Wine Club and taste all of our wines as well! Wine Tasting Kit To Go ! Whether you are an experienced wine lover or one of those “I don’t like wine” folks you will have fun in our tasting room. Flights of five wines will be selected daily for the tasting menu plus all of our wines are available by the glass. 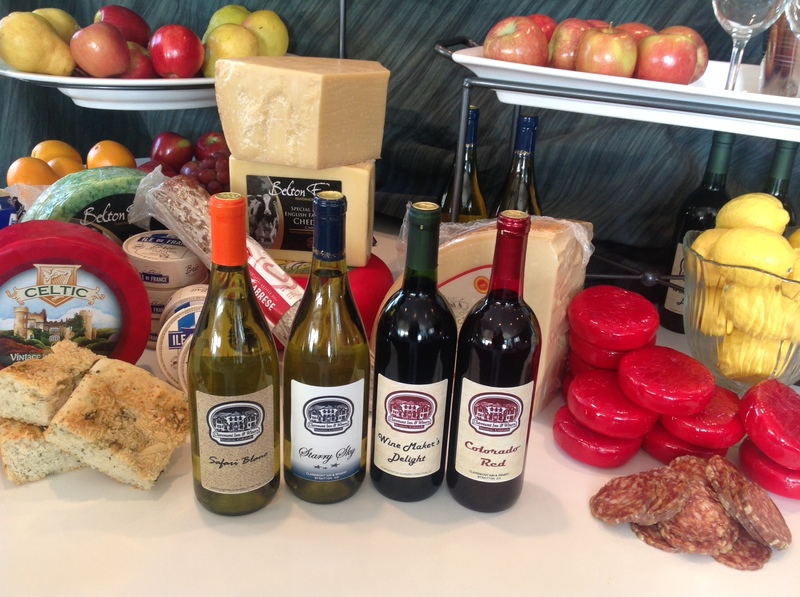 We also have a light menu of delicious lunch and snack food s to enhance your wine tasting experience. Wine accessories, napkins, shirts, glasses and logo’d specialties, Gift Baskets are available in the Claremont Tasting Room Gift Shop. At The Claremont Inn & Winery we have selected some of the best grape juice from the world’s finest vineyards to make our wines and all wines are crafted and bottled in small batches right here in our own production facility. As a custom small batch winery, we can give you the opportunity to "make your own wine" too. Our knowledgable staff can help you select your vintage, bottle, and create custom labels right in our facility! The way it works is you select the wine you want for your batch – we blend, ferment and age the wine until it is ready for bottling and when it is time you and your friends come to the Inn for a bottling and tasting party! 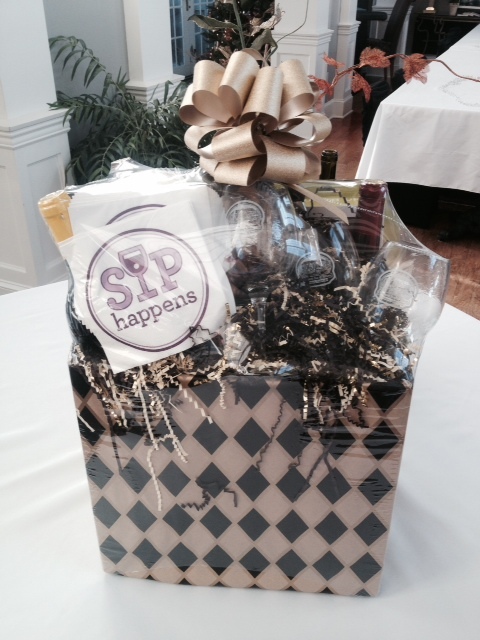 Incredible Custom Gift Baskets – you pick the wines – we pick the goodies and build you a beautiful custom gift basket. We have a variety of sizes and themes available… the perfect gift for any occasion. Call us at (888) 291-8910 for more information. Join The Fun - Join the Club - It's FREE! Plus, whatever else we think up during the upcoming year! The perfect way to remember your visit... the Claremont Inn & Winery Gift Shop offers a variety of winery items and Gift Baskets. 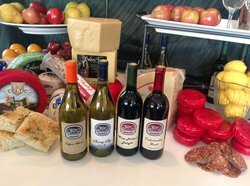 Select from: Mostly Wine, Wine Lovers, Cheese Lovers, Chocolate Lovers, Meat & Cheese Lovers and of course our Classic Gift Basket. We have a Gift Basket for every taste and budget!! View our gift baskets here!